It took a year, but my bike finally followed me to Brooklyn. OK, maybe I dragged it across half of New England in the belly a couple busses, but the end result is the same. A mountain bike isn't my ideal ride in the city, but I'm making the best of it. My local bike shop installed a pair of slicks, tires sized for a mountain bike but smooth rather than knobby. Lights and a bell are a must (NYC: there's a law for that), though I've avoided night riding to defer the cost of the former. Past that, the wishlist includes fenders and panniers. 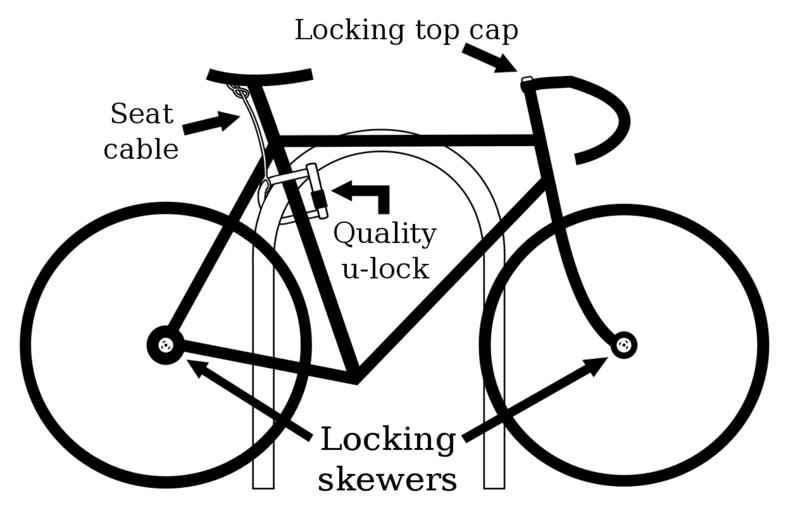 Locking skewers and other security features (via reddit) may be a good investment. My goal is to switch to a lighter road bike, so I'm hesitant to buy parts that may not carry over. It's all new to me, so I don't know if parts like fenders and panniers are interchangable between all bike styles. Riding itself is great. It's 10 miles from home to work, and a 20 mile daily rount trip is pretty rewarding. My preferred commuting route is almost exclusivly on bike lanes (a white line separating bikes from cars). Cars are respectful for the most part. I worry way more about pedestirans in the Ocean Parkway bike lane than I do about turning cars. Pet peeve: continually leapfrogging the same cyclists who ride a more slowly but run more red lights.